Greetings, Melissa here. As we head into the holiday season, events and things to do in Tampa become more frequent. This November the Lowry Park Zoo will be offering some fun deals and holding two events. Through November and December Lowry Park Zoo is offering a special birthday offer! Any guest who comes to the zoo on their actual birthday will be granted free admission. The offer is ONLY valid on your actual birthday with the exception of Thanksgiving and Christmas and you will need to have valid identification upon entrance. What’s better than getting to see the zoo’s 1,700 animal friends? Seeing them for free, so make sure to come down and check it out. Next I want to tell you all about Zoofari. This event will be on November 6th from 7-11 PM. Zoofari is known as one of the wildest and largest all inclusive food festivals. For the price of one ticket, you are able to dine all around Tampa’s Lowry Park Zoo, visit open bars, browse art and listen to live music across multiple stages. This will be a lot of fun for anyone who is looking for something fun to do while they visit Tampa Bay or locals wanting to keep busy with regular Tampa Bay Area events. Finally, The “Luv U Zoo” Moms to Be Shower is a FREE one-hour private event that will take place at the zoo on November 13th at 3 separate times. You can register for times at 9 AM, 11 AM or 2 PM. 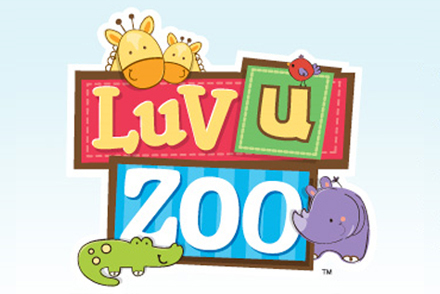 The event is in celebration of the new Luv U Zoo™ collection of baby toys and gear. All interested moms-to-be should register as soon as they can because space is limited. Ok, folks that’s it for November at the Lowry Park Zoo. I’ll be back with what to do at the zoo in December in a few weeks so make sure to not only check back here then, but for any of other Tampa Bay Area events!